卫恒, 吕强, 王国胜, 等. 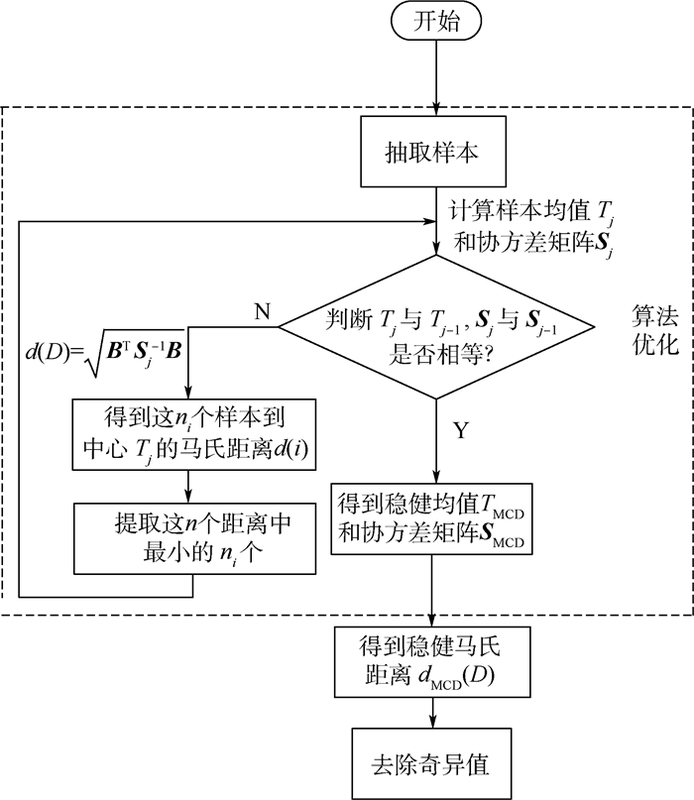 基于超宽带测距的异构移动机器人轨迹跟踪控制[J]. 北京航空航天大学学报, 2018, 44(7): 1461-1471. WEI H, LYU Q, WANG G S, et al. 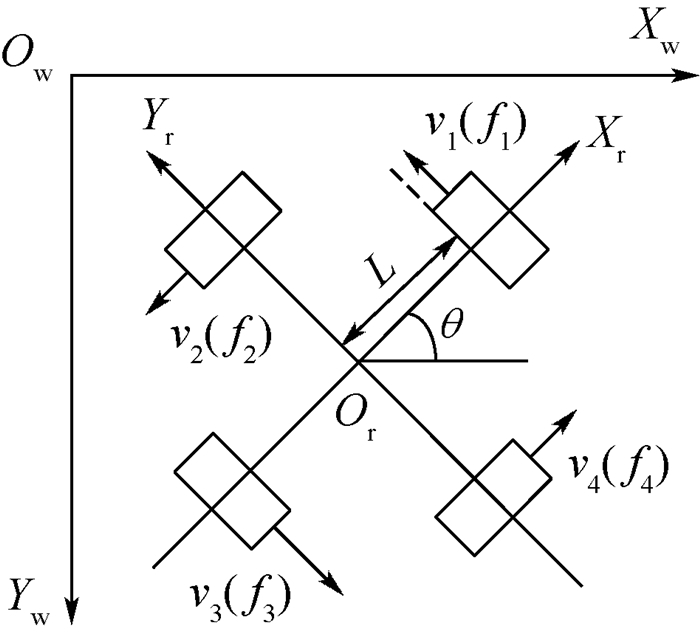 Trajectory tracking control for heterogeneous mobile robots based on UWB ranging[J]. 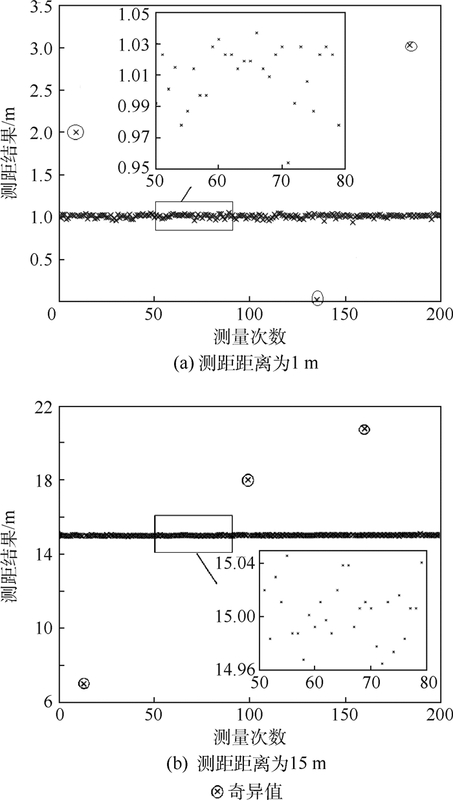 Journal of Beijing University of Aeronautics and Astronsutics, 2018, 44(7): 1461-1471. 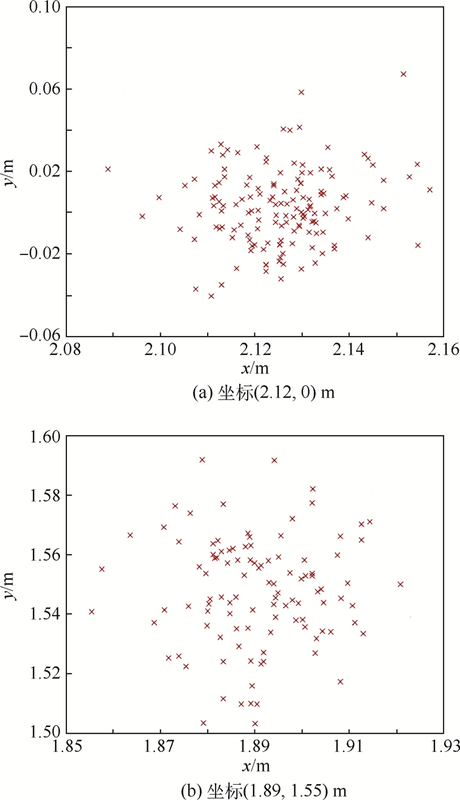 Abstract: Aimed at random occurrence of singular value in the process of ultra wide band (UWB) ranging, the traditional Mahalanobis distance detection algorithm is improved, and the Mahalanobis distance singular value detection module based on minimum covariance is designed. 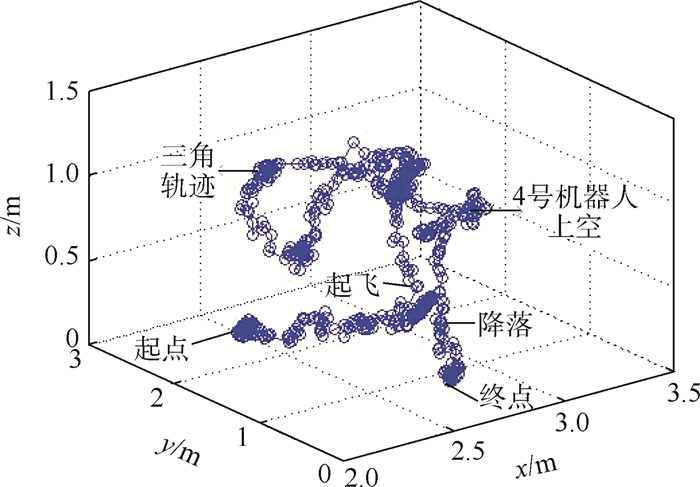 Based on the omnidirectional robots' kinematic and dynamic characteristics, the inverse dynamic feedforward trajectory tracking algorithm based on sliding mode control and PID control is proposed. 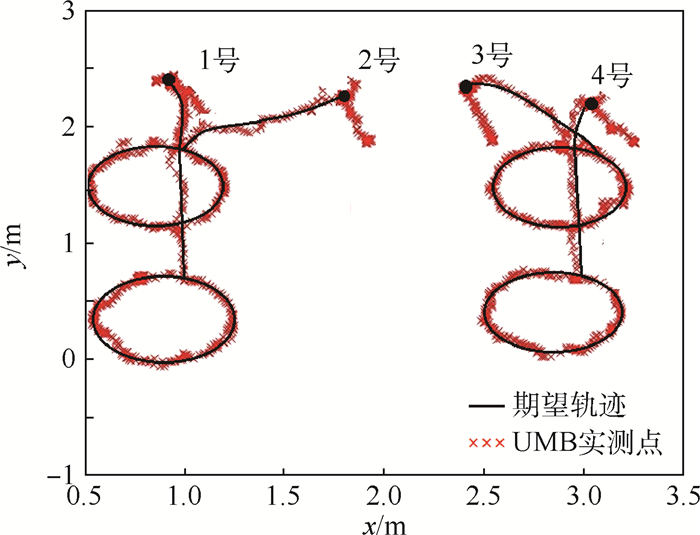 Aimed at the coordinate jump, the edge effect and the kinematic characteristics of the micro four rotor in UWB positioning algorithm, a trajectory tracking control method based on extended Kalman filter (EKF) is designed. 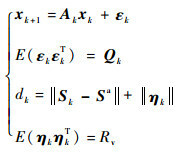 In MATLAB and Gazebo simulation software, the tracking control algorithm of omnidirectional robot and nano-quadrotor is verified. 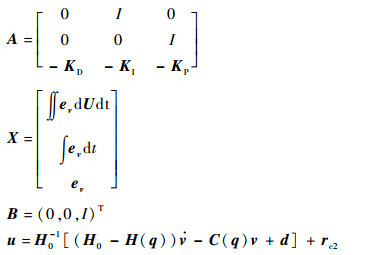 In order to verify the real-time feature and accuracy of the closed-loop velocity and position control and UWB positioning for trajectory tracking control algorithm in real environment, a heterogeneous multi-robot system based on UWB was built to complete the nano-quadrotor hovering, single omnidirectional robot trajectory tracking, and heterogeneous multi-robot cooperative control experiments. 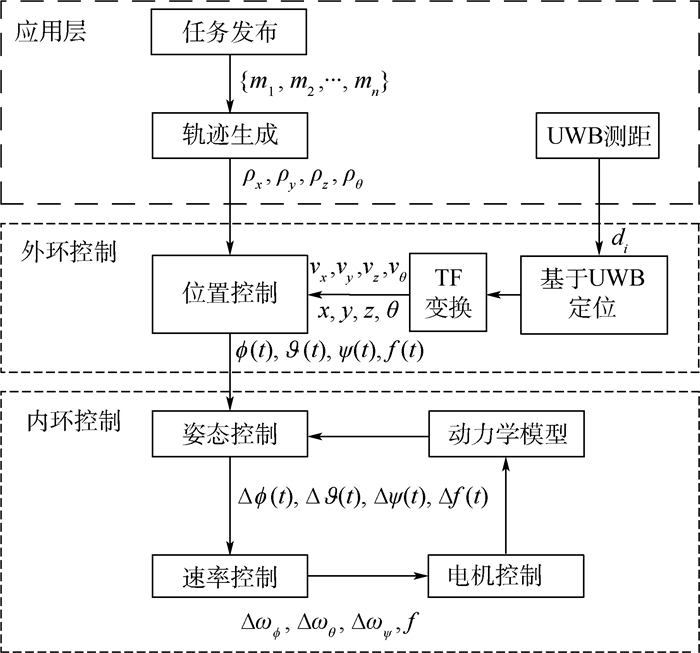 The experimental results show that the UWB positioning system and the robot control algorithm can meet the requirements of real-time and stable control. 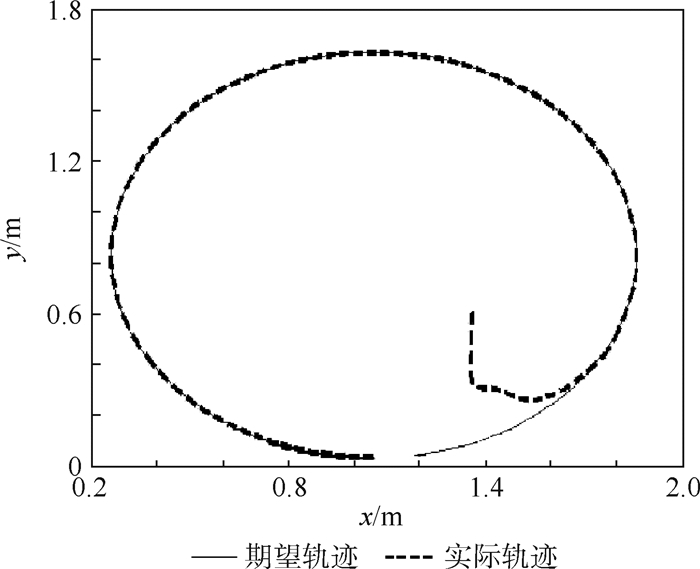 SUEOKA S, IRIE T. The study for control of the robot plane with GPS and IMU[J]. Journal of Medical Virology, 2016, 13	: 417–418. 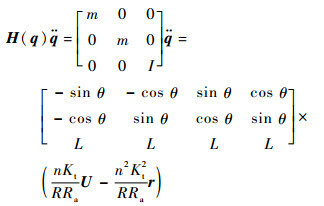 LI J, SONG N, YANG G, et al. Improving positioning accuracy of vehicular navigation system during GPS outages utilizing ensemble learning algorithm[J]. Information Fusion, 2017, 35	(C): 1–10. STACHNISS C, KRETZSCHMAR H. Pose graph compression for laser-based SLAM[M]//CHRISTENSEN H, KHATIB O. Robotics research. Berlin: Springer, 2017: 271-287. ENDRES F, HESS J, STURM J, et al. 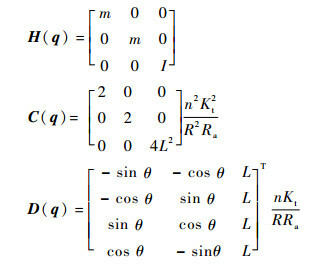 3-D mapping with an RGB-D camera[J]. IEEE Transactions on Robotics, 2017, 30	(1): 177–187. CAO J, ZENG B, LIU J, et al. A novel relocation method for simultaneous localization and mapping based on deep learning algorithm[J]. Computers & Electrical Engineering, 2017, 63	(10): 79–90. 张一淳, 张雪波, 方勇纯, 等. 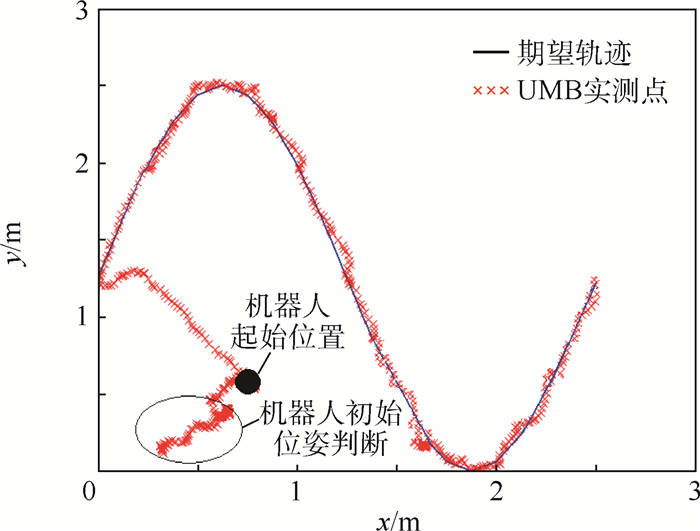 基于主动偏心轮的全方位移动机器人航位推算与跟踪控制[J]. 机器人, 2015, 37	(3): 361–368. MADHUSUDHAN M G. Control of crazyflie nano quadcopter using Simulink[M]. Long Beach: California State University, 2016. 阴盼强, 路东明, 袁渊, 等. 基于马氏距离的改进非局部均值图像去噪算法[J]. 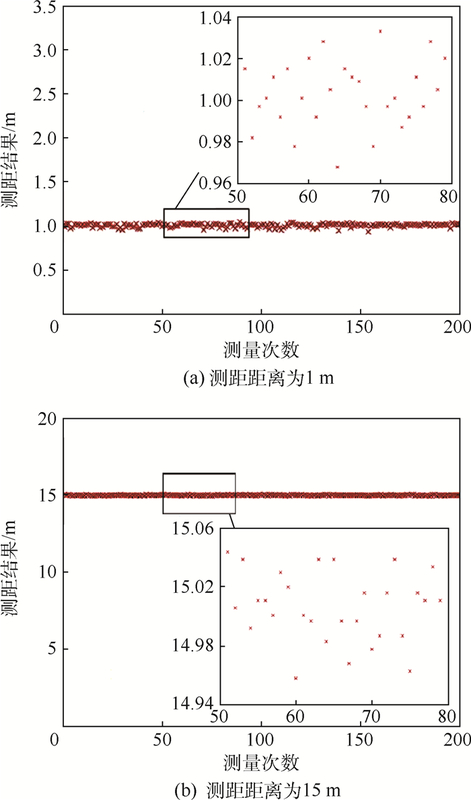 计算机辅助设计与图形学学报, 2016, 28	(3): 404–410.